Gabriela Juarez, AICP, was awarded the Judith McManus Price Scholarship in 2004, launching her work as an APA leader at the state and national levels. Once unsure about her career path in planning, Juarez is now the chair of APA's Transportation Planning Division. “I knew about the field of planning, but it was not an intuitive path. Dedicating all this time and money to explore a career in a master’s setting and not knowing if this would really be for me ... it was really a question mark. It was a little scary. The scholarship opportunity was Juarez’s first exposure to APA. More than a decade later, she still remembers connecting with members and learning more about the work of the association through the application process. Impressed by the leadership, particularly the women and women of color Juarez had the opportunity to meet, Juarez began to see herself as part of the planning profession — and part of APA. The APA Foundation is accepting scholarships now through June 1, 2018. Learn more about the Judith McManus Price and Charles Abrams scholarships. And, APA has been a part of life Juarez’s growth with the city: “During my tenure in the planning department, there were several senior-level employees that were mentors and were involved at the California Chapter at section level, and encouraged me to be active in APA. 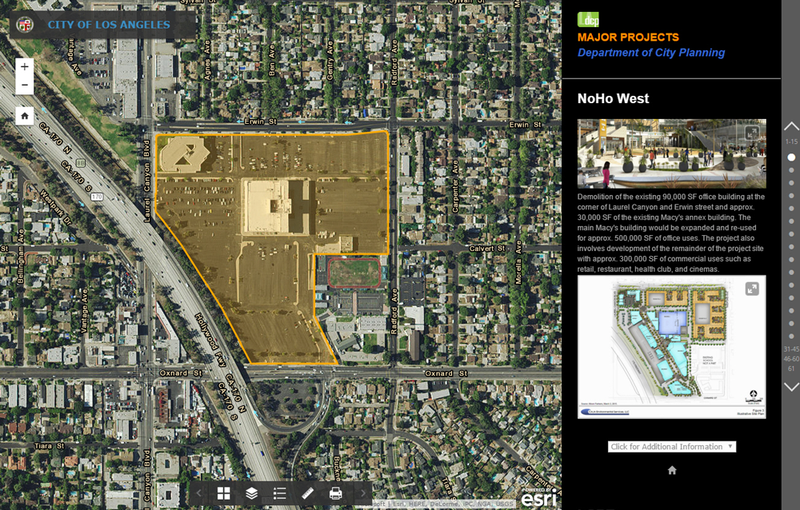 The City of Los Angeles planning department created a Major Projects Story Map to help show progress one project at a time throughout the city. Learn more about how Los Angeles and other cities are using geodesign in the March/April 2016 PAS Memo: "Comprehensive Planning and Geodesign." “I always plan with the perspective that transportation is the backbone of planning. Transportation needs to be at the center of how we approach solutions. APA's Transportation Planning Division is the home for all transportation planners. We believe transportation planning is more than just a profession — it's what connects us to the world. Top image: Los Angeles transit at the La Cienega/Jefferson station. On Election Day 2016, LA voters approved Measure M and secured an estimated $120 billion for a range of transportation projects. Photo by Flickr user Steve and Julie (CC BY 2.0).